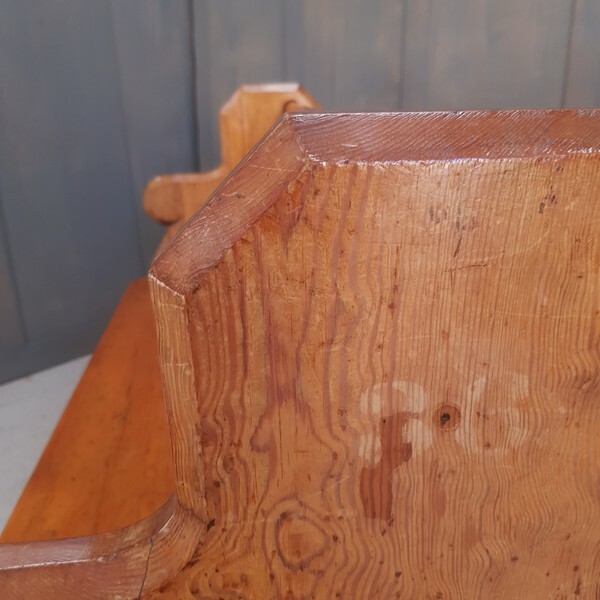 Panel back Victorian pews, pleasantly proportional from Gillingham Baptist Tabernacle. 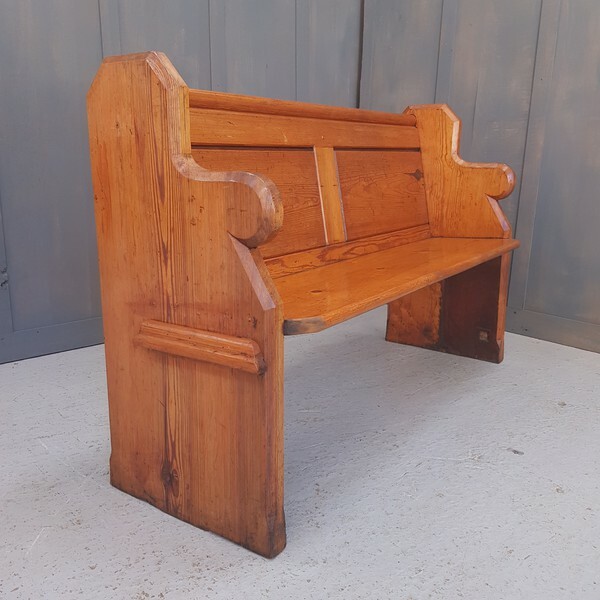 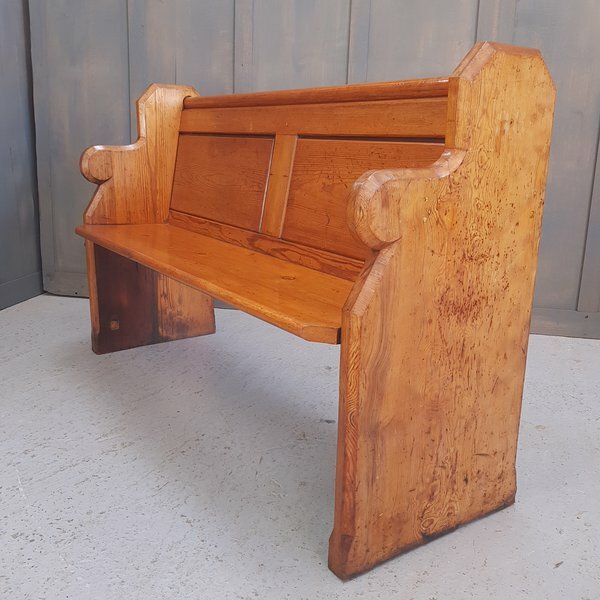 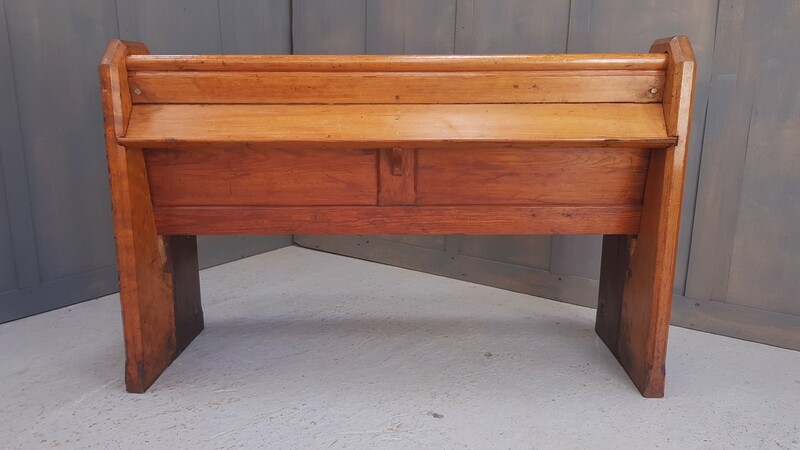 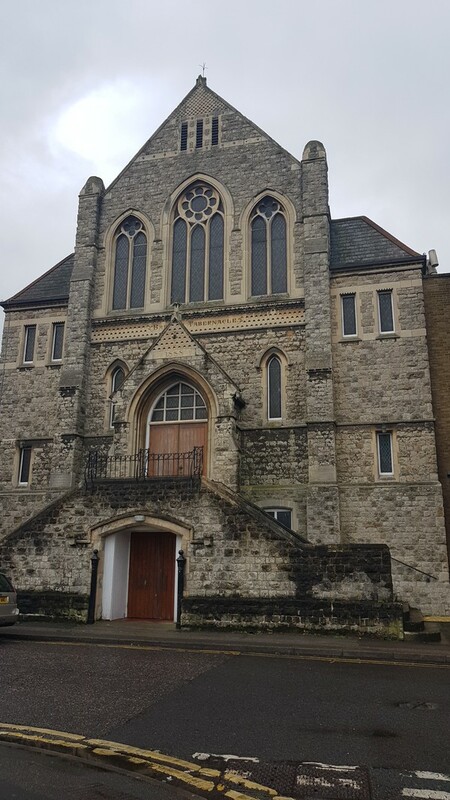 One end on each of these pews has an attractive carved moulding, this was were these pews originally had a pull out extra seat for children. These seats were apparently quite unstable and were removed some time ago. Call 01737 844264 and ask for Steve, Lawrence or John.